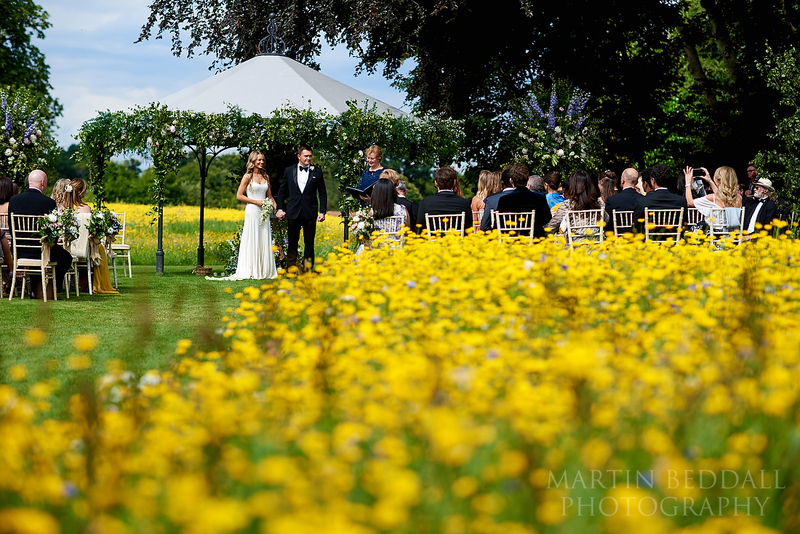 Since summer is fast approaching, it got us thinking about ceremonies held outdoors. The natural beauty of the countryside is the perfect backdrop to your vows and fairly cost effective as there is no venue dressing! Here is a little guide to outdoor weddings. In England, Wales and Northern Ireland your wedding ceremony needs to occur in a sound, built structure by law. This is not the case in Scotland where you can get married in a field and it’s perfectly valid. However, if this has always been a dream of yours then it may be worth considering a Humanist ceremony, so you can do the legal bit at your local registry office and then have your symbolic ceremony wherever you like. You have to have a weather contingency plan. No one wants to think it’ll rain on their big day but you have to at least consider the possibility. The UK is, by nature, wet and unpredictable. Anything can happen so have a plan B at the ready. There are many beautiful spots to get married in the UK all with their own unique qualities. The Bluebell woods in Northamptonshire are awash with bluebells in the spring that instantly give you a dressed ceremony room! You have to consider your weather contingency quite carefully though when marrying in the woods. On the other hand, marrying in your back garden is also a viable option but you need to consider the size, access, parking, power outlets, lighting and many other things. This can often work out to be far more expensive than first anticipated. Okay, so you’ve decided to get married in a field in the middle of nowhere. I’m sure it’s beautiful but it is in the middle of nowhere. This means that guests may find it difficult to get to on the day. To avoid this you may have to arrange transport from the closest accessible town for those who aren’t driving and extremely detailed directions for those who are. Let guests know their options in terms of getting there and accommodation in the invitations so they can plan accordingly. Yes, yes we know we said before that a beautiful field needs no dressing and we stand by that statement, BUT, many couples like the idea of creating a setting. 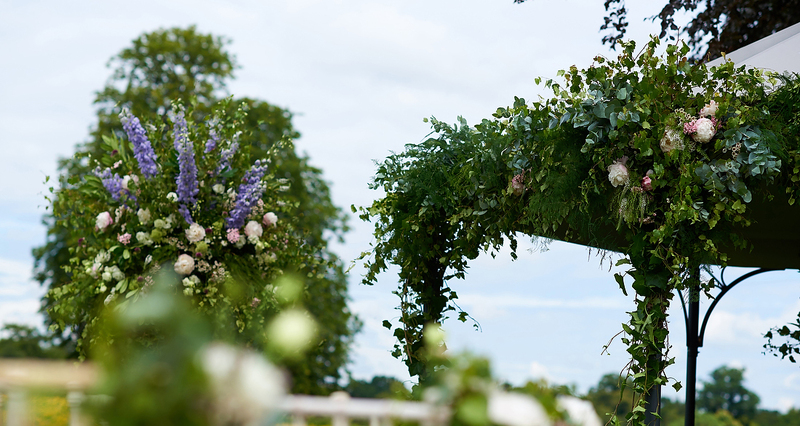 Arche’s are probably the most popular way of doing this as florists can create a standing arch with any colour scheme you choose. If you opt for a late ceremony, lights can be used to great effect especially with trees around. You can create a woodland wonderland by lining trees with fairy lights or festoon lighting. The possibilities are endless with such a neutral landscape behind you but don’t overdo it! Less is more. And that’s all for now! Would you have an outdoor ceremony? Let us know on Facebook and Twitter.